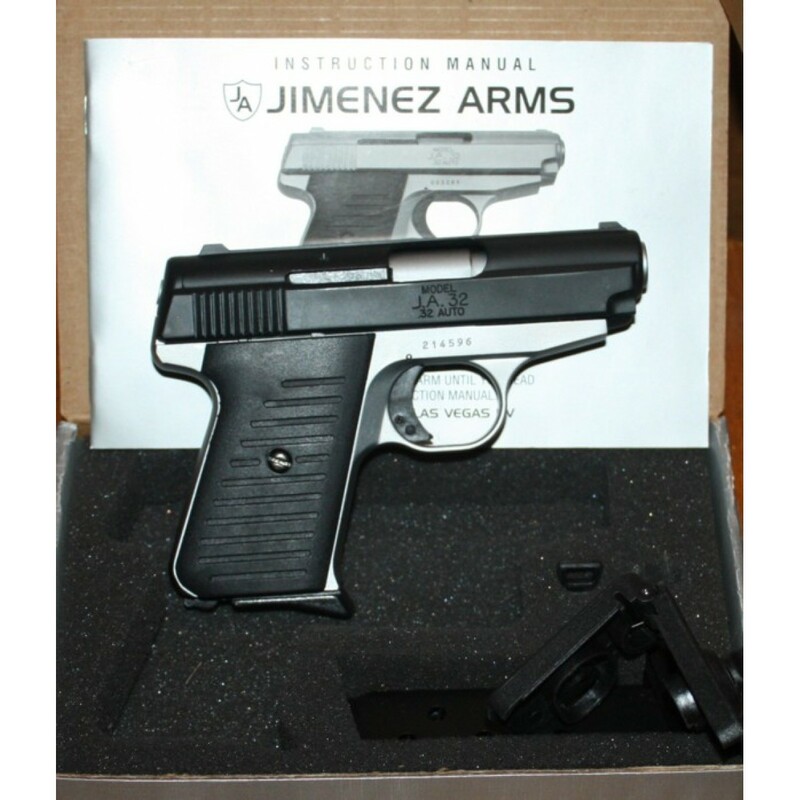 This is a brand new Jimenez Arms J.A.32 32 Cal Semi-Automatic Pistol Reverse Two Tone. Comes with Jimenez Warranty and Lifetime Service. 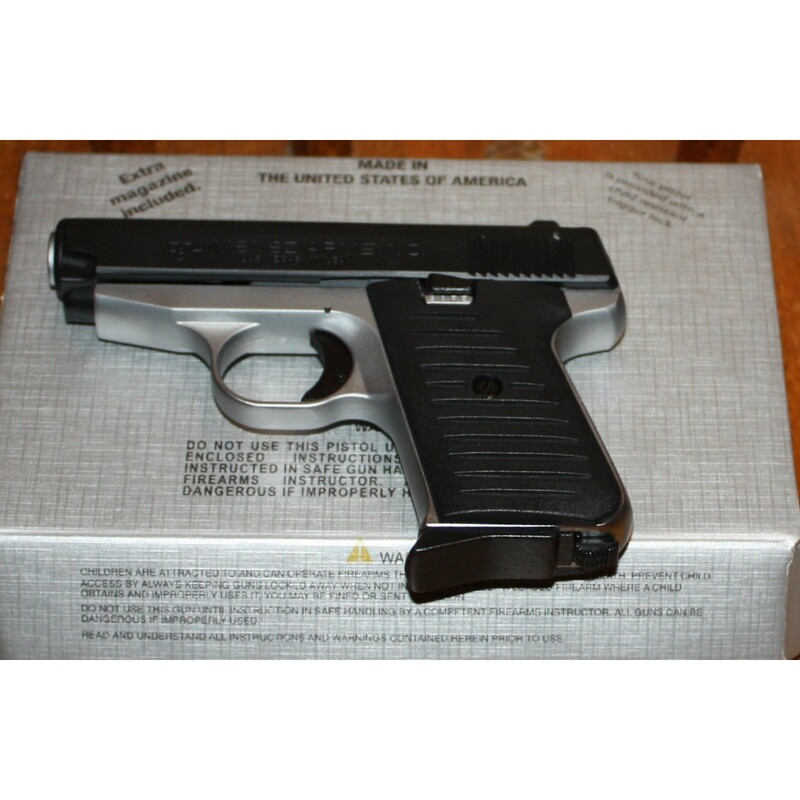 The Jimenez Arms J.A.32 is quite possibly one of the simplest, easiest to use and most comfortable compact .32's on the market today. Jimenez Arms includes such features as: a comfortable stance and an extended finger rest located at the bottom of the magazine. Other manufacturers offer this feature only on specialty clips at higher prices. Jimenez Arms, however, includes this feature at no extra cost. If you're in the market for a compact .32 and price, accuracy and comfort is a factor- the Jimenez Arms J.A. 32 is your solution.